As the old saying goes, well begun is half done. A well functional printed circuit board needs a good board design. Here are 3 points for you to consider when design your own PCB board. This is the most basic and most important requirements of the printed circuit board design, to successfully achieve the line connection for the electrical schematic diagram, so as to avoid short circuit or open circuit--these two simple but fatal mistakes. This basic requirement is not easy to do if you handmade it or just use simple CAD software to design, therefore, two trials for your product are at least to modify your design. If you do it on an advanced CAD software, its own test system can ensure the correctness of your electrical connection. 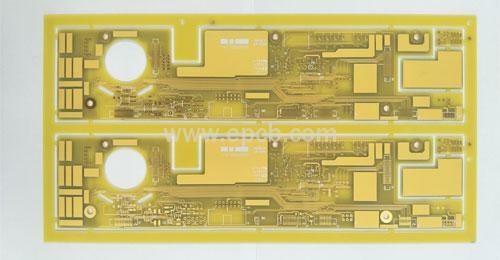 A printed circuit board assembly, from its manufacture, inspection, assembly, debugging, use, even to maintenance, all related to rational PCB design. For example, if the board shape is difficult to process, or the lead hole is too small to assemble, or improper external connection, etc., each can cause extra costs and prolonged working hours. Even though your printed circuit board is correctly connected, it can’t ensure its reliability. That’s because unsuitable laminate, incorrect board thickness or installation place, improper layout about wiring or components, all will cause unreliable PCB running. Another example is that the multi-layer board design is much easier than single or double-panel’s, but it is not as reliable as a single or double-sided board. From the perspective of reliability, the simpler the structure, the smaller the board surface, the less the number of layers, the higher the reliability.